Whatever you do, get the sisig. Then order everything else. 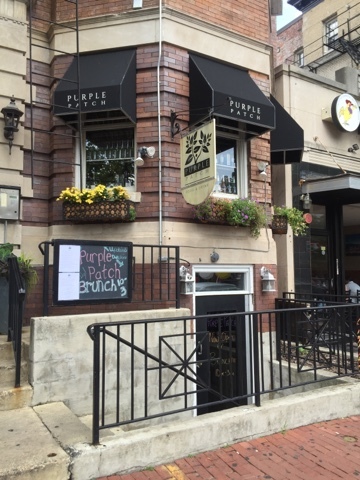 That's what you need to know when you encounter Filipino brunch at Purple Patch. I had no idea what to expect. No idea what Filipino food meant, really. 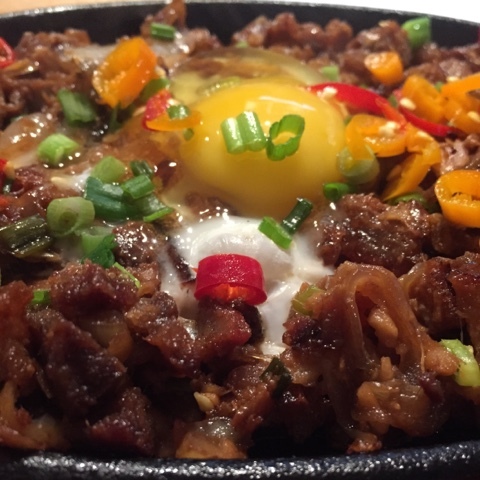 So I took the advice of McCealaig and I got the sisig - a spicy fried pork dish topped with an egg that cooks together in a cast iron dish. It's amazing. 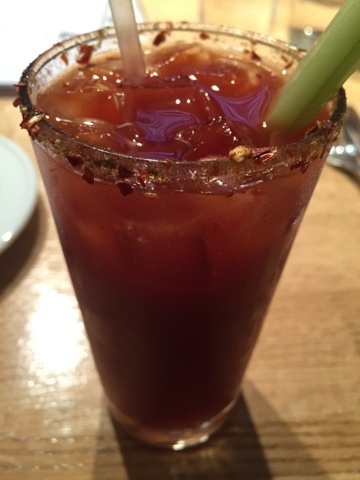 I also ordered the Bloody Mary infused Bloody Mary - and my friends got the Bacon infused Bloody Mary. Both are solid choices to start off a weekend meal. 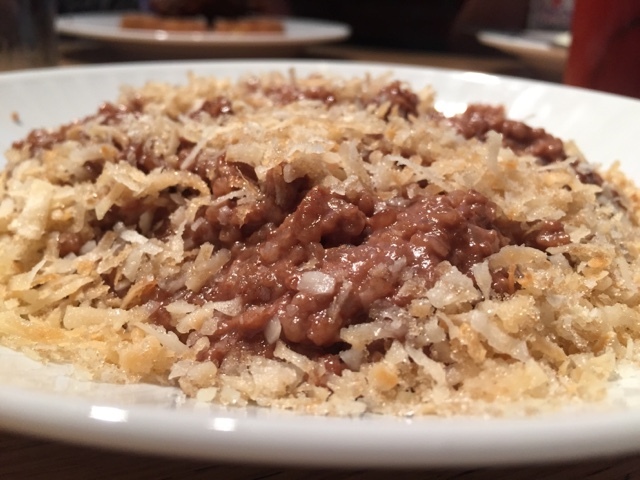 Other favorites on the menu were the Chocolate Champarrado (pictured below) - a delicious chocolate, sea salt & toasted coconut dish; Waffle with Ube Ice Cream and Filipino Fried Chicken; and the chocolate chip pancakes.